What is your favorite animal? Please explain the animal in detail. What does it look like? Where does it live? What does it eat? Explain its habits. My favorite animal is an illuma fish. It lives in the ocean. IT's scales are a mixture of green and yellow. When it swims it's head bobs up and down, giving it more momentem. If it is pitch black in the depths of the ocean, there scales will glow. The illuma fish is found in western australia, near the coast. It is one of the main attractions at the aquariuam. Scientists have done many studies on these animals and it turns out that these fish get angry around triangles. It's eyes can turn different colors if you look closely. But the result of doing so makes them very tired. The purpose of this ability is to scare away predators. Yah i heard about illuma fish they are really cool! I love that animal too. This should be our new class pet! I love all fish. So I love the illuma fish to. The illuma fish is really cool. I like any fish that can glow in the dark! The illuma fish sounds like it is a super cool fish. My favorite animal is an horse. It lives in a barn. There color is chestnut,cremello,dun,grey,overo,palomino,piebald. It eats hay,carrots,apples,grass also they drink lots of water.Horses can sleep with open eyes and and also they can sleep standing up.Horses like to horse play with other horses. My favorite animal shucaradoor eats bananas and strawberries. It dark brown with a light blonde. Shucaradoor lives in rare parts of africa. It likes to play with siblings and loves to sleep all day. Wow! That crazy I heard about that! they are really awesome! I want one really bad... I am always asking my parents for one! I heard about them too. They are amazing. I think I've heard about this before, on a television show. I think that the horses were alone, and they were the only of their kind, until some explorers found them there, like you said, in 1937. Then, again, like you said, there were brought to a lab, before being dispersed into the wild. crunkey:A crunkey is a mammal it eats anything that is living like a human a animal a fish any living creature, they live in a rainforest with a bunch of other animals it is a very poisonous deadly animal. the crunkey came alive with a duck and a crocidile breeds. A crunkey is really cool. a duck and a cockidile none are poisonis and they make something poisonis ... that dosnt make sence at all. If you mix bleach and vinegar, you'll have a basic, toxic chlorine gas. While neither of the ingredients are poisonous, the thing that they create, once chemically mixed, can be highly dangerous. This ties in with the same laws of physics as a,"Crunkey". I didn't see this in the world-wide encyclopedia, so I'm starting to question if it exists. I think that you have made a mistake in your research, and you should look back through your textbooks to make sure your not making HUGE grammar mistakes. My favorite animal is Insect-o. Insect-o is a small as a thumb and it is covered with hair. You can find it in cold places. It eats smaller bugs. Is habits are find hot places to lays eggs and eats 2 of them and it lays 4 or 3. They are the hard to find insect it mite be big but it stays near the dark as it covered with hair you can sometime mist them. The insect-o is my fav animal by far. My faveorate animal is a snurtle. Snurtles live in warm and wet places, like lousieana, and Florda. They have a turtles shell and the head of a snake. They eat mice and plants because they are slow. They lived through the meateaour that killed the dinosours. So the snurtle is one of the smartest animals. OMG i love snurtles dude there amazing. whait a turtle with a head of a snake weird and cool at the sme time a turtle is one of my favorite animals and a snake is another one of my favorites so a ombination is even cooler. My favorite animal is a cheebra. My animal lives in Southern Africa. My animal eats grass, leaves, and plants. My animal is very rare. So you can only find them in zoos. My animal can run up to 80 miles per hour. My animal is half zebra and half cheetah. dont cheetas eat zeebras so why would they breed? A squarttle is one of the most rare animals. They are so rare because sadly, they are going extinct. They are mostly found in a zoo that holds rare animals in Germany. My Grandma went on vacation and saw the squarttle. She said it was very unique but cute. They havent been a very popular animal for hundreds of years. They originally came from Egypt. These animals only have about 200 left. That is enough animals to bring the population back to life. This zoo that the squarttle's are found at is not a very popular zoo either. Squarttle's are not as popular as they deserve to be. Scientist say they came from a species they have yet to find out, and that animal that started this species, ate a rock or something that shaped this species. This is square. This animal is also some type of turtle. This animal eats square like things. Such as rocks, wood, dog food. plastic etc. That should also be our class pet!!! I think a squarttle would be an awsome class pet. My Favorite animal is a Gerbil Roo. I went to Northern Germany Pet Store and I seen a Gerbil Roo it is a Gerbil and a Kangaroo mixed together and it has 2 legs and 2 arms and it is very small but it was the only one so I bought it. It eats Green Leafs. It is so small you could put it into your pocket and if you put it on the floor it hops. My favorite animal is a Chicorn. Chicorns are small animals that live in south Africa. Chicorns have brown fur with pink tinting, Chicorns have really big eyes that help them see at night because they are nocturnal animals.Chicorns have oval shaped ears that are covered in a lot of fur. They mostly eat seeds from flowers and also hay and sometimes even leafs. Chicorns are now mostly found in zoos because there are not many of their species left. Chicorns are one of the many animals that are hunted because of their silky feeling fur. Chicorns are animals that are really good at climbing and navigation. My favorite animal is a catfish. A catfish is a cat that is part cat and part fish. They can be found in the Pacific ocean near Hawaii or on land. Unlike all other cats, it likes water. It eats catfood and fish food. They can be any size or shape. They can be black, white, orange, and gray. They have many cat species. Their habits are to bite furnisher. Instead of a cat tail, it has a fin, and instead of cat paws, it also has fins. I caught one in the pond in the park and it looks cool. My Favorite animal is a wholphin it is a dolphin and a whale and it is the size of a dolphin and it sounds like a whale and it is found in australia. I love CATS. So that means Me love catfish. I went to the pic it was different than I thought of really cool. One of my favorite animals is a libra. My friend went to the zoo and told me about them and I researched them and as I researched them grew more interested they became my favorite animal. 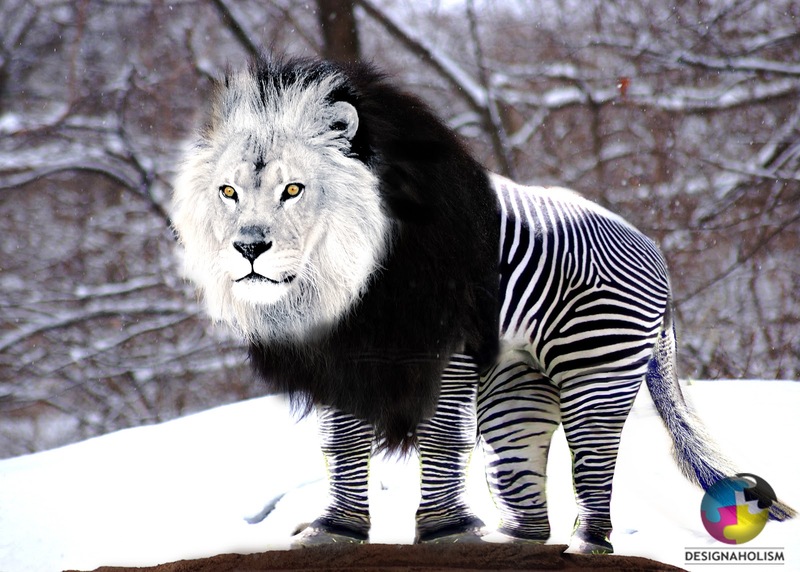 They are white with black stripes, and they have a black mane. They can be found in grasslands and treeless areas or open woodlands. They tend to hunt for food at dusk. They eat birds, hares, also they like to eat grass. They live in South Africa and also can be found in central Africa. My favorite animal is the elefish, an elefish is from an elephant when it eat a poisonous fish and the fish has laid eggs in the stomach and when the elephant does his business the eggs come out half elephant. The elefish is going extinct and the last 5 are in the indianapolis zoo. The elefish likes to eat cat food and was first found in south africa. People hunt this animal for its ivory. cool, i think elefish might be my new favorite animal. Have you ever heard of the mylosheana it was first noticed in 1994 when people were flying from russia to america. They were over the north-western part of southern central germany. Everybody was amazed that it was floating on the cloud so the pilot stopped the plane and they watched it for an hour.There have been reported sightings of the swimming, walking, and flying near antarctica. It is estimated that there are only 952 left. Trump is thinking of making them a natural protected habitat in antarctica. Trump is getting a litter of them for his kids. The mylosheana does not have a very accurate description, every single time someone saw one, it was a different description. They are known to eat humans so if you see one take it to the trump tower were they will keep it captive so it cant hurt anyone. Please send money now only $14 a day can save them. If you get close to them the only thing to stop the is to go on live.ly and let it take the phone and it will start streaming. I have never seen one but it sounds really cool and different. My favorite animal is a nark. A nark are a big animal. The nark lives in in the Arctic ocean. It has 2 horns, really sharp teeth,and it is blue. The nark eats anything smaller than it. The nark isn't a very popular animal. I have herd about one before. How big can they get? A Cog can bark like a dog and it can climb trees like a cat.It lives in New York City.It can run really fast because when the cats legs give out the dogs legs start to kick in.If you want to buy one it cost $1,000 because when it guards your house it will attack any one who is dangerous and it's a outside and inside type of pet. My Favorite animal is the striped dolphin. It eats fish and it lives in the ocean or an aquarium. They are grey and white. They can live to 55- 60 years.